Frosted glass is widely used today in everyday life. It is used for interior doors and for coverings of countertops in the kitchen headsets. To a matte glass for a long time retains its attractive appearance for him to properly care for. The biggest difficulty in caring is cleaning the glass, but if you follow the instructions and choose the right detergents to care for a Matt glass cover will not be difficult. 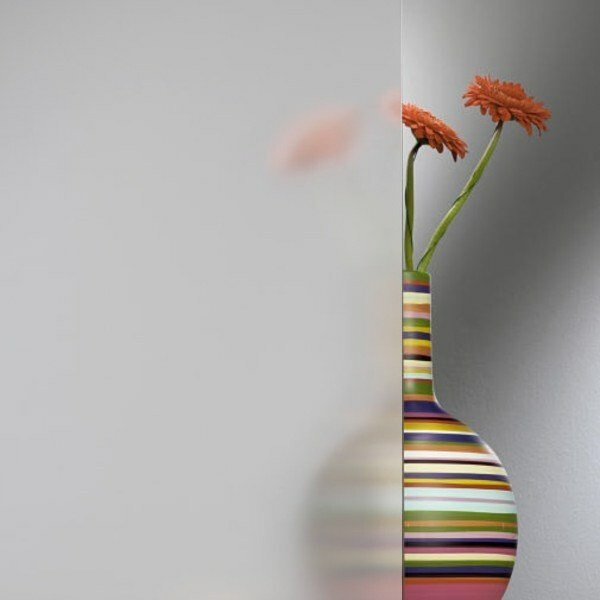 Before you start to wash frosted glass, inspect its surface. Unlike the usual glossy, it has a rough texture, so that any dirt that falls on it sticks stronger and clean worse. If on glass there are no special dirt, drops, fat, or greasy fingerprints to clean the entire is enough warm water with soapy solution. You need to remember that for washing frosted Windows, you can't use detergents containing acid or silicone – they can damage the surface. To remove small dust pollution, to gently wipe the glass with a soft cloth or sponge abundantly moistened with a soap solution and then wipe dry. Do not use steel wool, scrapers or hard brushes that can scratch the glass. You should not use abrasive cleaning powders. If on the frosted glass remained frozen droplets of fat or volume dirty spots, will have to work hard. Removal of mud deposits, you can use a plastic or wooden spatula, small spatula, and the like. But the tool does not have to be metal, to avoid scratching the glass surface. It is wrong to use for cleaning stains razor blades, metal kitchen tools or sharp objects. A good effect can give the use of steam cleaning appliances with continuous suction. After processing the surface of the glass, it should wipe again with a damp soft cloth and dry. Old organic stains (tea, coffee, stationery glue) can be removed with solvents such as acetone or alcohol. It is important to ensure that the process does not hurt the silicone seals. After application of alcohol or acetone glass must be washed with clean water and wipe dry. You need to keep in mind that if for cleaning frosted glass is necessary to resort to such strong cleaning substances such as alcohol or ammonia, you need to pre-test the product on a small inconspicuous area of the surface. In this case, if the drug will give a negative response, you can still protect the main surface of the glass from damage. To clean the frosted glass can not be used organic solvents such as gasoline, this may damage the glass surface. If you need to wash ordinary glass, it's all clear. But when it comes to matte, there are a number of difficulties. From the usual methods of washing, they are spots and stains, and wipe clean this glass much harder than normal. Matte surfaces need special care. - a dry rag or newspaper. Special care for the frosted glass is to correctly dry, completely removing moisture. To wash the dirt should be a normal detergent for Windows. For serious dirt, you can also use ammonia. He is a very strong smell, so open the window and make sure there were no children. Despite its pungent smell, this tool is loved by many Housewives, because it allows to cope with any stains and leaves no residue on the matte surface. Regular care of the frosted glass allows to do without the use of ammonia. To do this, use a special cloth of microfiber material. You can clean the glass with a dry microfiber cloth, you can wet the result in either case is excellent. It removes the moisture and leaves no residue. After cleaning the microfiber needs to be washed, after which it can be reused as new. The material is very durable, enough for such a cloth for a long time, and it is inexpensive. A good method for cleaning frosted glass is to use composition based on chalk. Dissolve in a glass of water besides the bed of finely crumbled chalk. Then with a cloth dipped in this solution, both sides wipe the glass. Once the composition has dried, crumpled newsprint, remove the rest. Instead of newspaper use a dry cloth. For frosted glass fits very well wash vinegar solution. Dilute it in hot water. Dampen a cloth in the resulting structure, and use it to wipe the glass. Then go over the cleaned surface with a dry microfiber. To frosted glass looked like new, they are useful from time to time wipe with a chamois. In principle, fit any nappy and a fairly hard surface. Frosted glass needs constant care and requires careful handling, so if you have small children, you may not buy furniture with these glasses. They are constantly at fingerprints. The matte surface is especially noticeable.